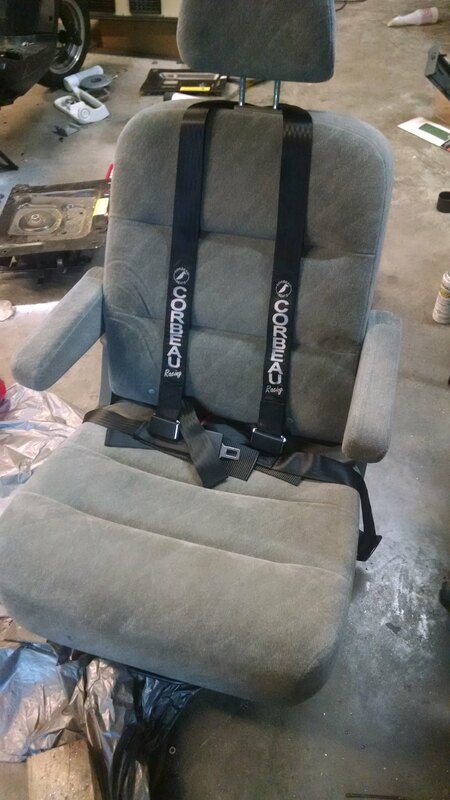 I got a seat from a Chevy Silverado to fit in mine, it slides forward enough and folds forward to almost be completely out of the way. We have had no issues with it blocking the entrance. The only complaint is that your legs. Have to be angled to the right slightly to miss the dog house over the engine. 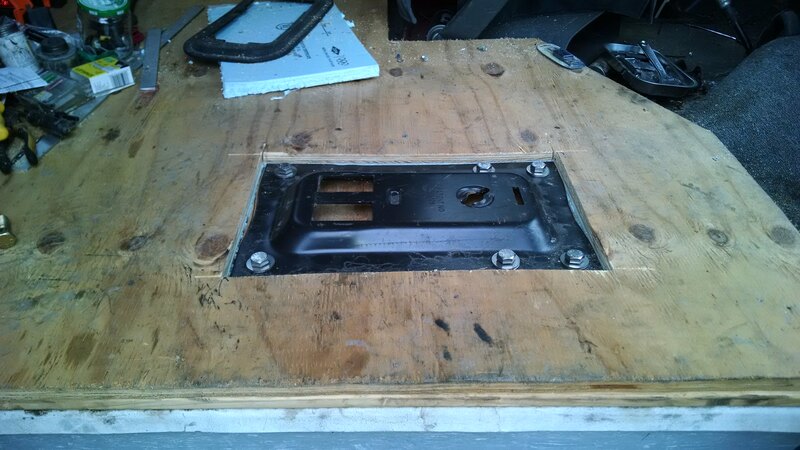 My shuttle bus has Ford factory passenger door and passenger seat just like a full size e350/450 has. Sort of rare but you can find them. Hit the local salvage yard and find a conversion van. 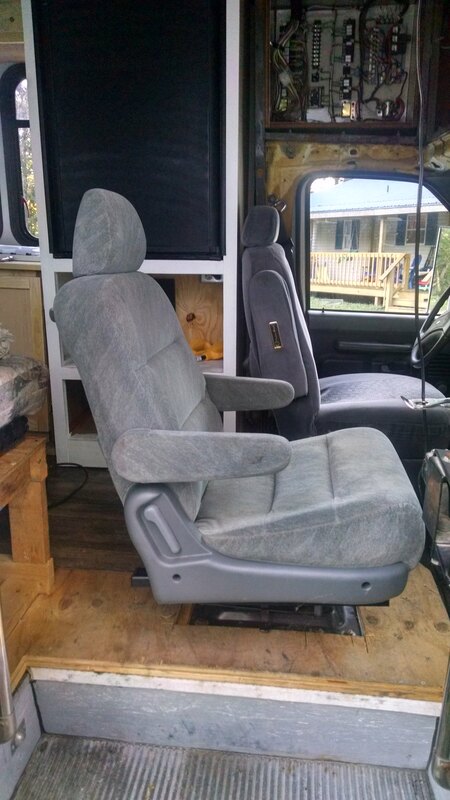 Most have quick release captains chairs in the rear that swivel... and the bases are bolt in. It slides a bit further forward then pictured which gives plenty of room to walk behind it. When we are stopped for a few days, it takes 10 seconds to pull the release lever and the seat pops off the base. 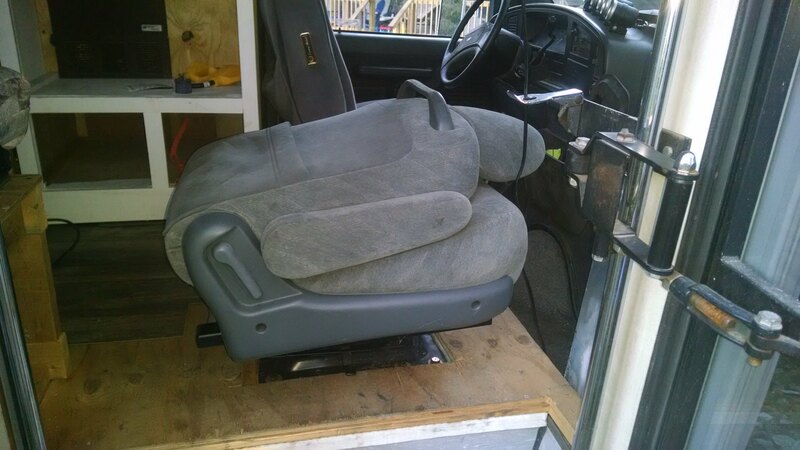 When folded up, it fits nicely in front of the passenger side dash leaving the whole entrance to the bus open.